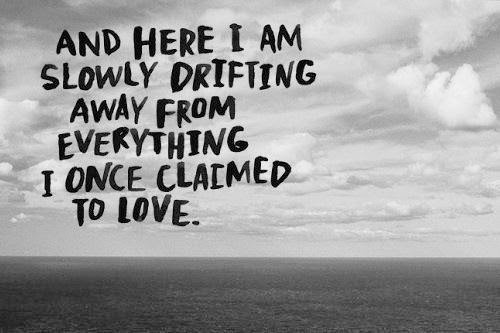 As I'm Slowly Drifting Away. And it's not because I couldn't manage to post something to my blog, it's just that I don't have time for blogging in a while. As the matter of fact, I don't have any time at all. Since I attended Lasalle, life has been a real roller coaster ride. First day of school? Bam - First (short project) already. I've spent a lot of my time at school. I even stayed at school from 9 a.m - 3 a.m. Crazy? You haven't seen nothing. Last week was a one hell week. I've spent all day long to do my assessments and project. And the last couple of days - Friday to Tuesday - was the worst days of my life. You know when did I go to sleep last couple of days? After 3 a.m. Yes, crazy right? But I've managed to do everything on time. And my score was ok too. I'm kind of proud with myself. Life at Lasalle is tough. Especially on my class. We don't have much people in Product Design. I only got 13 classmates, so including me only 14 people. And I'm one of the youngest people in the class, most of my classmates are 20 above, I even got a classmates that already married! And most of them are well-experienced. I was hoping we could start the lesson from the scratch. But apparently we didn't. They're hoping that we already have experience in art, while back in Jakarta I spent my High School studying science studies like crazy. On the top of that, I'm the only Indonesian in my class. So sometimes I do have a hard time trying to say what's on my mind. I bet you did have a blank moment sometimes when you're not speaking with your first language. Me & My Hair(s) story.